WHY WOULD YOU WANT COMPACT BINOCULARS IN THE FIRST PLACE? WHAT SETS COMPACT BINOCULARS APART FROM ALL THE OTHERS? It would be foolish to set out in the great outdoors without a good set of binoculars. It doesn’t matter why you’re there—whether it’s to hike, to hunt, to connect with Mother Nature, as part of your job or simply because you’re pairing with someone else. Binoculars can be not only useful and entertaining—they can also be life-savers! Binoculars, though, can take up lots of space in your backpack, can feel heavy and can cost a pretty penny—these are only some of the reasons some people, instead, go for a set of “compact” binoculars. Compact binoculars weigh less, take up less space, and, in some cases, can even be cheaper than regular binoculars. In spite of these “pro’s” though, there are some challenges that designers of compact models have had to overcome—not least of which is losing light because of poor transmission. In essence, the smaller the objective lens, the dimmer images will seem to our eyes. In bright daylight this may not be a huge problem but, as the daylight disappears, so does the visual quality of many compacts, especially the cheaper ones. It must be said that compact binoculars have set a reputation for quality and dependability that is as good (if not better) than that of bigger models and makes. As for what constitutes “compact,” it refers to makes and models ideally in the 8×20 to 10×25 capacity, with an objective angle of view of roughly 6.5 degrees and 5.0 degrees respectively. Eye relief is defined as the distance (usually in mm) that a set of binoculars can be held in front of the eyes while still providing a full unobstructed field of view. Someone who wears glasses, for example, might find this pertinent. Eye relief of approximately 14mm or higher is preferred for those who wear eyeglasses. The diameters of beams of light that leave eyepieces to hit your pupils are “exit pupils.” Brighter images correspond to larger exit pupils. Larger exit pupils are best for lower light viewing, such as dusk, dawn, while under a canopy of trees, or for night/star viewing. Sizes of areas seen through binoculars are called “fields of view.” What you see inscribed on the binoculars are the “angular fields,” expressed in degrees. Linear fields are the areas observed about 1000 feet ahead of you. Larger fields of view refer to larger or wider viewing areas. Field of view relates to magnification in the sense that lower power translates into wider fields of view and higher power into narrowing fields of view. Wider fields are preferred when either the viewer or the object to be observed by the viewer is moving. Fog-proofing refers to injecting optical barrels with argon or nitrogen gases in order to prevent internal fogging brought about because of temperature extremes and high levels of humidity. This is sometimes called “nitrogen-purging,”—i.e. oxygen is “purged” from barrels, to be replaced with inert gases that don’t condense. Binoculars can be labeled “waterproof” in spite of not being fog-proof—meaning that the device has been tightly “sealed” without having been purged and, thereafter, filled with an inert gas. On the other hand, if optical instruments are classified as fog-proof, then they must also be waterproof. In general, binoculars are both fog-proof and, therefore by definition, also waterproof. Magnification or power refers to objects being viewed being enlarged. On average, binoculars feature magnifications of 7x or 8x and the rather popular 10x. Binoculars labeled “10x” means that they can magnify images ten times bigger than seen with the so-called “naked” eye. Remember that magnification/power can affect both field of view and the brightness of any viewed image—for example, you get more brightness with lower power, as well as a more expansive field of view. Higher magnification isn’t always best, especially when it comes to moving targets, which may seem blurry because of that more-highly-focused and therefore narrower field of view. The higher the power, the more you may need a tripod. Also, remember that high power binoculars interfere with views by enlarging background distractions like dust, moisture, fog and heat waves. A “Field 7” refers to the size of the overall area that is visible, from side to side, to the viewer; said viewing field width may also be labeled as a “350 feet wide at 800 yards” viewing ability. The “10x” in “10×25” translates into a magnification of 10. The “25” refers to front lens diameters on barrels that are 25mm wide. Binocular lens coatings can greatly affect the quality of observed views. Optical glass works in binoculars first by absorbing and then reflecting light; the transmission of that light, though, can be cut by as much as 50% because of poorly or improperly coated lenses. This means that about half the light available will fail to reach your eyes. The optical parts of binoculars are coated to reduce glare and light loss; this is a well-balanced transmission of light and better clarity, brightness, contrast and sharpness. The best-suited binocular lenses are the fully multi-coated ones, thus allowing about a 95% transmission capacity. 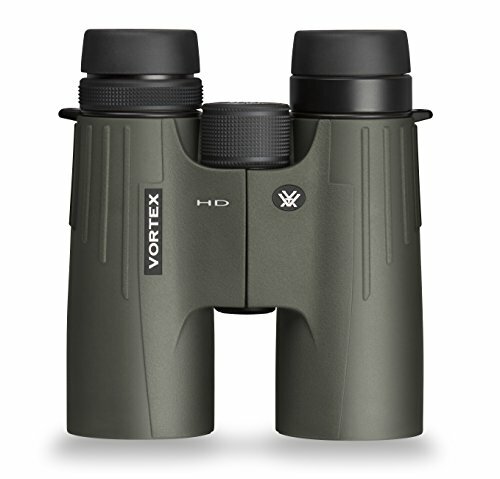 The diameters of objective/front lenses help determine overall sizes of binoculars. In general, compact binoculars boast of 20 to 28mm diameters, “medium” ranges from 30 to 42mm, and full-size is anything 42mm or bigger. Diameters of lenses help determine the light-catching abilities of these instruments. The larger a lens, the more light is allowed into the binoculars, thus allowing greater-detail viewing capacity. Large lenses become important when in low-light places—i.e., under a canopy of trees or as evening draws near. “Exit Pupil” refers to the internal brightness-catching capacity of binoculars. There is a big difference between water- and weather-resistant and “waterproof.” A waterproof set of binoculars is a piece of equipment that has been purged of air and moisture only to then be filled with inert gases—then with O-rings tightly sealed. In general, a waterproof set of binoculars is also fog-proof, suffering no internal condensation, if it were to get wet or briefly dropped in water. The term “water and weather resistant,” though, is more of a marketing term than a scientific one; in general, it means the device is poorly protected against moisture. Some better-made, lower-end models, however, may boast of good quality water resistance affording good moisture protection. Zoom binoculars will have changeable power/magnification that ranges from 7 to 20x. These types of binoculars can have problems, including poor resolution and optical quality, as well as magnifications that are too high for comfortable binoculars hand-holding. In general, zoom binoculars aren’t a good bet—neither are auto-focus or fixed-focus binoculars. The Nikon Monarch offers a tough rubber encasement that makes the Monarch easy to hold (even with sweaty hands) and able to withstand harsh conditions; it also offers a wide field of view. State-of-the-art lens coatings offer better super color results and high-contrast imaging—what’s more, LD lenses enhance colors and brightness. As if icing on the cake, phase-correcting roof prisms go on to preserve detail and clarity. Finally, housings filled with nitrogen make waterproof and fog-proof performance possible. The Monarch also features a multi-coated lens system that is effectively anti-reflective and ideally qualifies for “All-Terrain Binoculars” (ATB) designation. In fact, high-reflection di-electric multi-layered prism coating is standard for this product. Featuring a hand-friendly-design (important for the elderly, arthritic, and those who use binoculars often), the Monarch boasts of having easy-to-reach-and-use lens covers, comes at a low price, and enjoys tiny dimensions (5.7 by 5.1 by 1.6″) and is exceptionally lightweight (1.3 lbs.). Its superb brightness makes up for its lower magnification. Finally, the Monarch is great for reading small text and seeing the finest details on things relatively far away. The MONARCH 7 8x42 provides an exceptionally wide field of view that makes it easy to find your subject. The Leica Ultravid features, among other things, multi-coated lenses that utilize HDC technology for topnotch color display, clarity, and contrast. Its Phase P40 Correction can eliminate roof prism phase-shifting, thus giving high contrast, incredibly well-defined images and a nitrogen-filled housing that gives possible fog-proof and waterproof qualities. Beyond this, the Ultravid uses special internal anti-fogging due to temperature changes technology; it also uses high-reflection coatings on prism surface and a state-of-the-art interior surface design that brings to a minimum stray light while at the same time zooming light throughput. 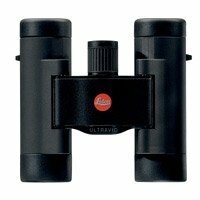 Super small (3.7 by 2.4 by 1.4″) and super light-weight (8 ounces), the Ultravid also features roof prism and phase-corrected coating HighLux-System HLS & P40 and spectacular angular fields of view of 6.4, fields of view @ 1000 yds. of 112 yds., and an exit pupil of 2.5 millimeters. In fact, the Ultravid has consistently offered some of the most truly “compact” features available in any model or make. Things that clearly show this are an easy-to-wear-around-the-neck-or-carry-around-without feeling-burdened-in-any-way design and a great brightness, field of view, plane of focus, and focusing ability. 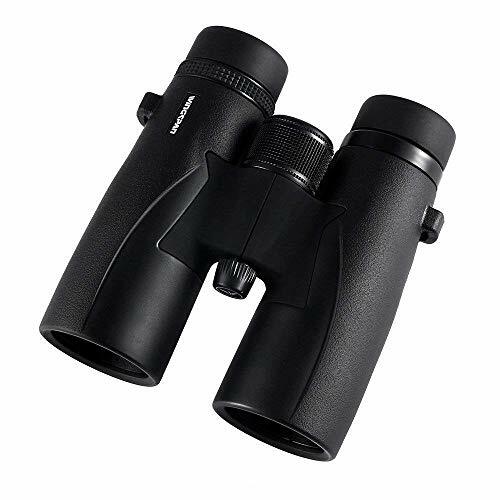 These binoculars are ideal for those that like to be prepared for unplanned bird-watching. They are also great for hikers and true camping folks who’re very picky about every ounce they carry. To top it all off, these binoculars may be used while wearing sunglasses but doing so may hamper viewing quality. The Vortex Optics Viper is primarily protected by an excellent O-ring sealing system that keeps out dust, moisture and debris. Along the same lines, argon gas within this well-sealed-up casing provides the capacity for fog-proofing and waterproofing. As for viewing quality, its air-to-glass surface XR multicoating enhances light transmission, and di-electric coatings on the prism offer clear, bright and color-accurate imaging. What’s more, extra-low, high-density dispersion glass provides great colors and resolution, which makes high-definition imaging possible. To top things off, the product comes with an Unconditional Lifetime Warranty that is hard to beat (if you can find it at all) in the industry. Finally, the product comes with many necessary accessories, like a comfort neck strap, lens covers, padded deluxe carrying case, etc. The Wingspan Optics is said to help take bird-watching to another level of fun; supposedly, this model was designed with bird-watchers in mind. This model excels in these areas: extra wide fields of view, close focusing, Phase Corrected Coating on prisms, and superb ED glass. Additionally, these high-power ED glass binoculars are said to help viewers see images that are sharper and clearer than is possible with most other models (including more expensive ones). Their extra-low dispersion glass reduces and prevents chromatic aberration, one of the main reasons for color fringing. On top of that, Phase Correction Prism Coatings and multi-coated lenses are standard on these models. The Wingspan’s 8x power is said to be ideal for capturing the most bright, clear and steady images while birdwatching. As expected, it is also fog-proof and waterproof. Not surprisingly, it’s lightweight but built like a heavy-duty tank—in other words, the weather by itself isn’t likely to be able to destroy it. As if all these qualities already mentioned weren’t enough, the Wingspan comes with an amazing Lifetime Warranty, is great for capturing colorful sights, and comes with a light-weight nylon mesh protective case. 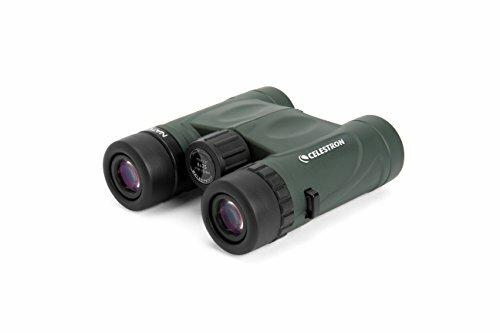 Because of the less-than-perfect way these binoculars handle edge distortion, brightness and resolution issues, they are better-suited for daytime than night-time use. They also provide sharp resolution and focus, as well as an enjoyable image, whether you are looking at a simple pine cone all the way to a magnificent-looking eagle. 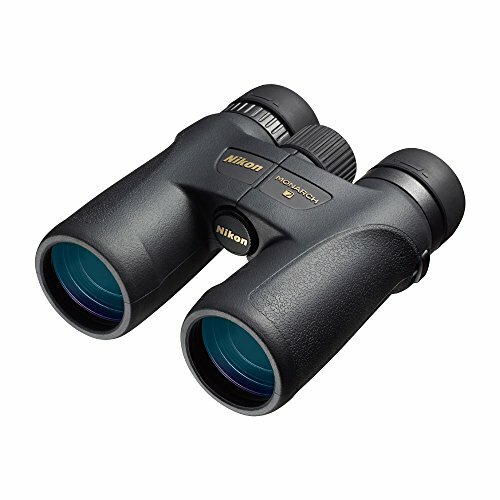 In comparison to other models costing more, you are likely to spend less time adjusting things like diopter and focus settings, thus having more time to enjoy the “views.” Many users report that these binoculars are somehow able to put the user “there” where the object is, instead of merely looking at it from afar. Overall, most users report positive feedback on this product; to put it simply, they like it.